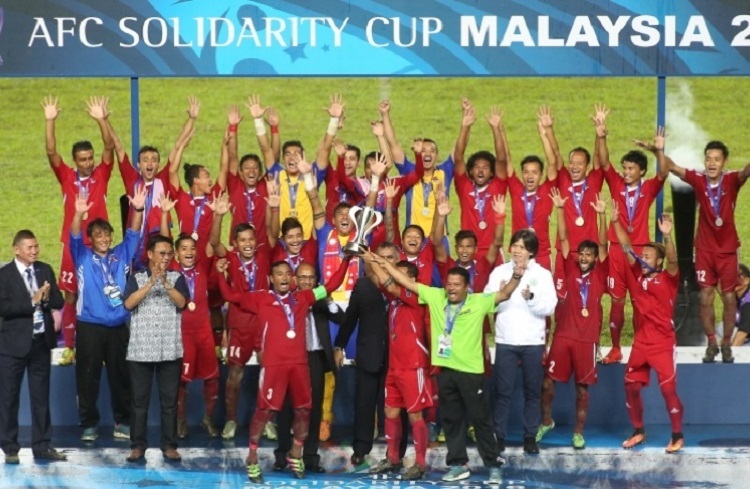 Kuching: A solitary first half goal from Sujal Shreshtha was enough to seal a 1-0 victory for Nepal over Macau in the final of the AFC Solidarity Cup Malaysia 2016 at Sarawak Stadium on Tuesday evening. 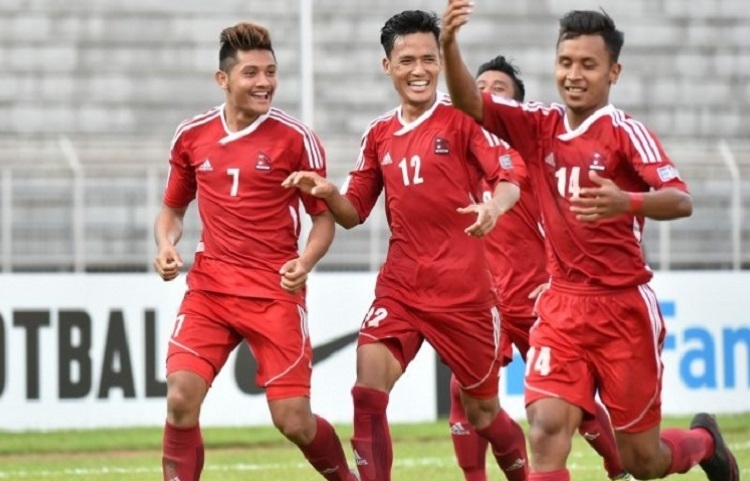 Shreshtha scored in the 29th minute to give Nepal the title and cap an impressive performance throughout the tournament that saw Koji Gyotoku’s side emerge as the champions. Nepal dominated from start to finish in difficult conditions but, while Macau’s defence held firm for the majority of the game, Tam Iao San’s team rarely threatened at the other end of the pitch. Nicholas Torrao and midfielder Pan Chi Hang overcame fitness concerns to start for Macau while Nepal coach Gyotoku named the same starting line-up that saw off Laos in a penalty shootout in the semi-finals. With heavy rain having fallen just before kick-off, the conditions were difficult for both sides but despite the surface water on the pitch Nepal still managed to control the opening exchanges. Bharat Khawas went close to opening the scoring in the 14th minute when he burst down the right before firing a low shot towards the far corner that just slid wide of the post. Fourteen minutes later, the Nepalese went closer still when Anjan Bista smashed his shot from the edge of the area towards goal, only for goalkeeper Ho Man Fai to punch the ball over the bar. Less than a minute later, however, Nepal took the lead. Khawas outpaced Kong Cheng Hou down the Macau left before cutting back a perfect lofted ball towards the far post that Shreshtha powered home with his head, directing the ball back across goal and into the far corner. The lead was well deserved for a Nepal side that help the upper hand throughout the half, and Gyotoku’s side could have added a second late in the half, but Nawayug Shrestha’s header flew across the face of goal. 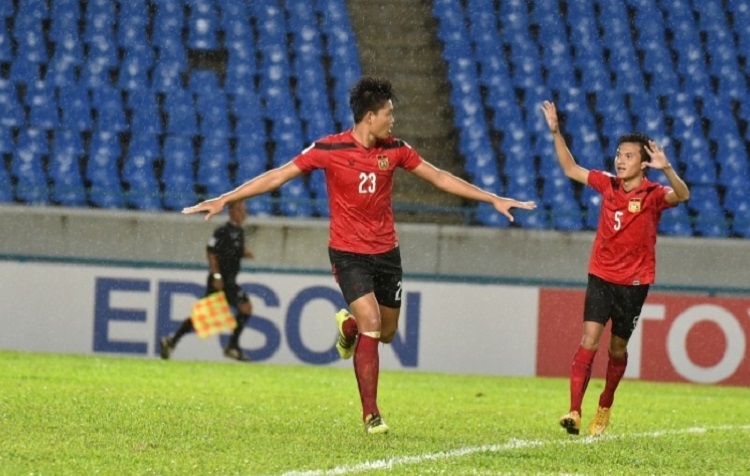 Macau offered little in the attacking third of the pitch, with Lao Pak Kin’s long range attempt at goal with a 65th minute free kick a rare attempt at goal for the side from the former Portuguese enclave. Instead, it was Nepal who looked more likely to score the game’s second with Bimal Gharti Magar particularly assertive as the midfielder tried his luck repeatedly from distance throughout the second half. None of his efforts seriously troubled Macau goalkeeper Ho, but it mattered little as Shreshtha’s header was enough to ensure the trophy goes back with the Nepalese to Kathmandu.